In stock - low quantity. Order in the next 1 hour, 32 minutes and it will go out today! 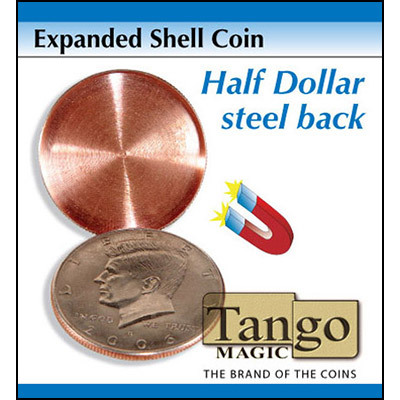 This half dollar expanded shell is precision made from our friends at Tango Magic. The difference between this, and a standard shell is that it has a steel shim inserted inside so that it can be attracted by a magnet. This makes it perfect for unbelievable hands-off changes using tools such as the Raven.